Are you looking for a simple racking system that’s completely free of bolts, pins and screws? 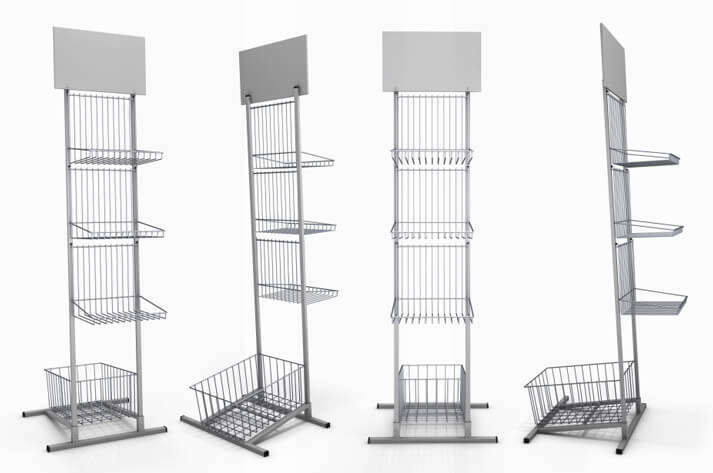 Anyone can quickly and easily assemble Wiredex racking in a variety of different ways. Our systems are perfect for warehousing, storage and pallet containment, while also being a great answer for a number of retail industries. Our durable, heavy-duty beams come in both medium and lightweight variety, as well as all standard sizes, while also being possessed of exceptional adjustability. This means our racking can quickly and easily be adjusted to hold almost anything. Wiredex has always focused on quality, cost effectiveness and functionality. Our racking and shopfitting fully embraces these standards by delivering the most incredible solutions all over Australia at standard industry prices. Optional electroplating or zinc galvanisation. Where necessary you can enjoy the benefits of scratch proof and corrosion resistant racking. However, this isn’t always vital. In these cases you can opt to go without and enjoy the great money saving that comes with only buying what you need, and nothing more. Powder coated racking and accessories. A full range of long-lasting PVC powder coating in any colour or design can, at your discretion, be applied to both the shelving and all related accessories. In addition to providing excellent surface protection and lower conductivity, this lets you colour code racking for easy identification, brand systems in order to boost sales or otherwise aesthetically adapt your Wiredex racking solution to the surrounding area. We can save you time and money. Whatever happens in your business, Wiredex racking has the practically limitless adaptability to handle it. Changing pallet type, or supplier? Do you ever use non-standard systems? Need to accommodate a wide variety of forklifts, ladders or logistical systems? Have you encountered issues when trying to conveniently accommodate international goods of different sizes alongside local ones? Do you deal with a wide variety of different products? Planning to expand your storage or display area? Do you wish it was easier to adjust between narrow aisle, double deep, drive-in and selective pallet racking? Want easier inventory management and stock rotation? Wiredex solutions can make it happen more quickly, easily and at no extra cost. Don’t pay the same amount for an inferior racking solution. Contact us to get the best combination of quality, functionality and price.